Tuesday, June 11th, 2013A lot of our readers seem to be Glenn Beck fans. I’ve also met some folks who find him a bit too far to starboard. Wherever you stand on that, we all have to admit, it’s good when someone gets the truth across. Glenn Beck assembled an all-star panel for his research: Dan Andros, Lt. Col. Dave Grossman, Stephen Halbrook, David Kopel, and John Lott, supplemented by Sharon Ambrose, Cam Edwards, Joe Kerry, Tim McGinnis, Skip Patel, Meg Storm, and Jacob Sullum. That list includes some of the finest minds that have ever researched the complicated issue of “gun control” and the civil rights of firearms owners. The result is an excellent short compendium of proof that destroys many of the bogus arguments now being wielded against us. “We’re experiencing an epidemic of mass gun murders?” “No one needs a fast-shooting, high-capacity firearm?” Beck presents the solid statistics which show otherwise. 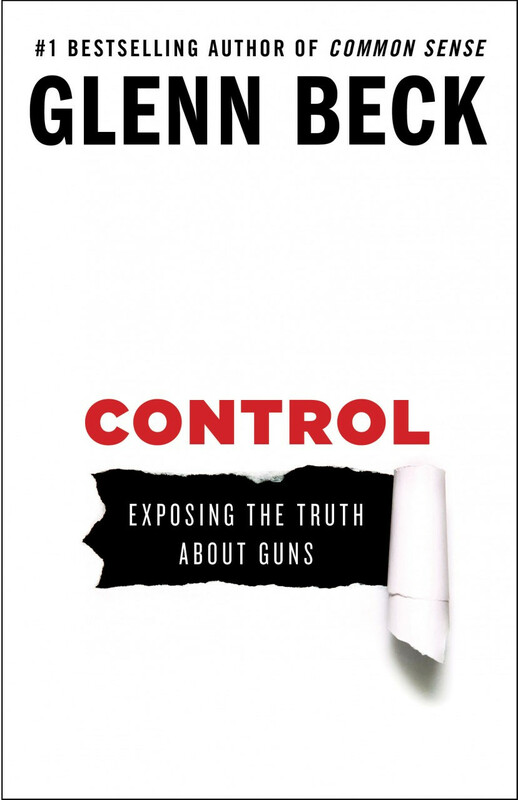 “A gun in the home is 43 times more likely to kill the occupants than protect them?” Beck’s new work gives the best layman’s explanation I’ve yet seen as to why that figure, from a deeply-flawed and long-discredited study, is totally bogus. Glenn Beck is a best-selling author. His work reaches people the rest of us can’t reach. It’s been a long time since I’ve seen one of my books for sale at an airport newsstand; “Control” is there conspicuously. He simply gets the message across to folks who won’t be reading or listening to the rest of us. For those of us who are activists in this fight, “Control” is the handiest digest this side of Gun Facts 6.2. This entry was posted on Tuesday, June 11th, 2013 at 12:29 pm and is filed under Firearm Owner's Civil Rights, Reviews. You can follow any responses to this entry through the RSS 2.0 feed. You can skip to the end and leave a response. Pinging is currently not allowed. Control is a decent book, but when I saw Chris Kyle's name I thought the post was going to be about "American Gun", the book Kyle's wife just bought out. Also an excellent book, history and firearms in America make for a great read. I too have a copy of that book and second your thoughts. I read it in dad's nursing home room.